Mr. Yuk, teaching people to stay safe from poisons and toxic exposures. Mr. Yuk was created in 1971 by the Pittsburgh Poison Center at Children’s Hospital of Pittsburgh. Studies showed that the skull and crossbones, used to mark poisons, had little meaning for the children of the 1970’s. The symbol had been in movies, cartoons, commercial products and amusement parks to show happy, exciting things like pirates and adventure. Moreover, the Pittsburgh Pirates baseball team used the symbol as its team logo causing the Pittsburgh Poison Center to look for an alternative. Children at daycare centers were shown six different symbols on identical bottles of mouthwash often found in family homes. The symbols included a red stop sign, the skull and crossbones, and a green, scowling-face. The children were asked to pick the bottle they would not play with. The symbol that was least attractive to the children was the green, scowling-face. One little boy, who didn’t pick the bottle marked with the green, scowling-face, remarked, “He looks yucky!” The little boy’s comment lead to the creation of the warning symbol and character known as Mr. Yuk. Mr. Yuk is used in many states and a few other countries. Each Mr. Yuk sticker has the poison center’s toll-free phone number, which routes a caller to the poison center serving the area from where they are calling. Last year, millions of stickers were distributed nationwide, to help teach people how to stay safe from poisons and toxic substances. 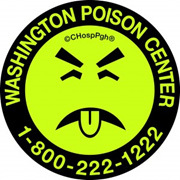 In 1973, at the request of its founding medical director, Dr. William O. Robertson, the Washington Poison Center, (then the Seattle Poison Center at Children’s Hospital in Seattle), was the first poison center outside of Pittsburgh to adopt Mr. Yuk as its poison warning symbol. 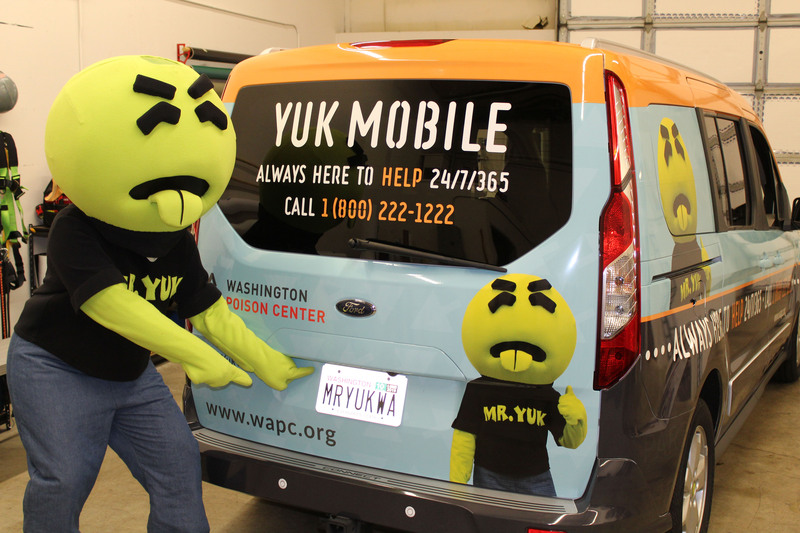 The Washington Poison Center is also the only poison center that has a Mr. Yuk mascot, and the newly created Yuk Mobile. Mr. Yuk encourages people to LOOK: lock it up, out of sight, out of reach, keep safe. 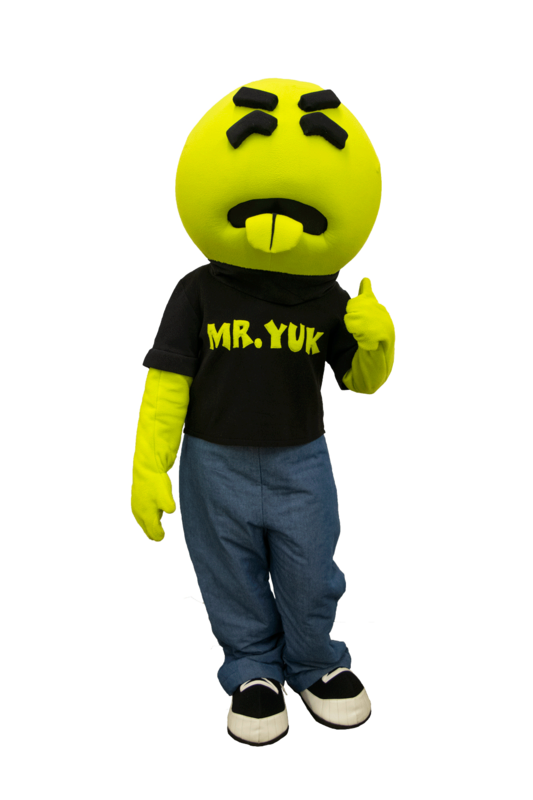 If you’d like Mr. Yuk to visit your school, community event, or place of business, please contact: mryuk@wapc.org. To order a Yuk Pak for family use, that includes a sheet of 10 Mr. Yuk stickers, following this link: Materials Order Form.